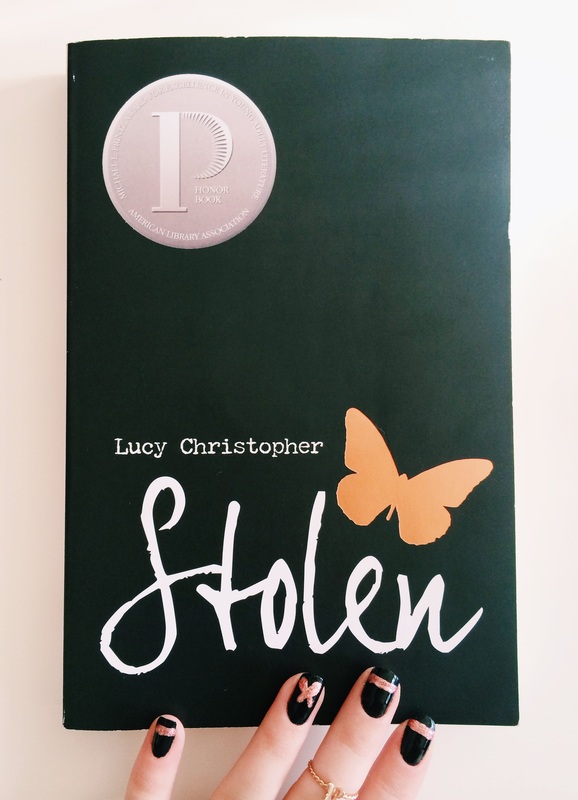 When I saw Stolen by Lucy Christopher on the shelf at Barnes & Noble, the first thing that caught my eye was the rose gold butterfly. Second, I was very intrigued by the description on the back. It felt very Lovely Bones inspired, and since that is one of my all time favorite books, I decided to give it a chance. 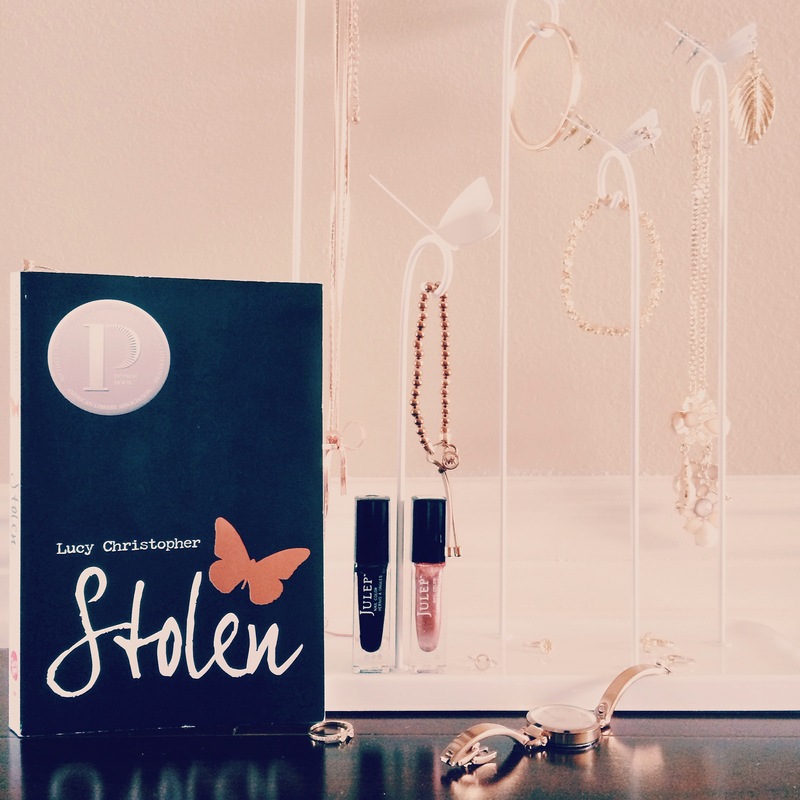 I want to say I loved Stolen. I want to say it caught my attention and held me captivated the entire time. Unfortunately, I can’t say those things completely. The premise of the story was really interesting, and I loved where the story was set. But what killed it for me were the characters. They weren’t strong or bold enough for me. And because of that, the story moved really slowly. Also, don’t even get me started on the ending. I understand that Stockholm Syndrome is a legit thing, but I was genuinely angry with the last fifth of the book. I felt as though Christopher was writing Gemma to be a character who she thought would come across as “very real,” as opposed to just writing a real person. It felt forced and a bit predictable, but with an outcome that I didn’t like! Now that we have that out of the way, let’s get to the pretty stuff! My inspiration for Stolen was pretty easy and straight forward. I love the color combo of the cover, and I happened to have the perfect metallic bronze/rose gold for the butterfly. I didn’t want to just have a little design on my ring finger and plain black nails on the rest of my fingers. To dress up my mani, I decided to add simple horizontal lines, and I love the way it turned out! Julep’s “Black Latex” is a bit hard to work with, and dries with, well… a matte, latex finish. The first coat is often streaky and not fully opaque, but a second coat smooths it right out. I really wanted it to match the shimmer of the rose gold polish, so I chose not to leave it matte, and instead, painted a high-shine top coat over the black. 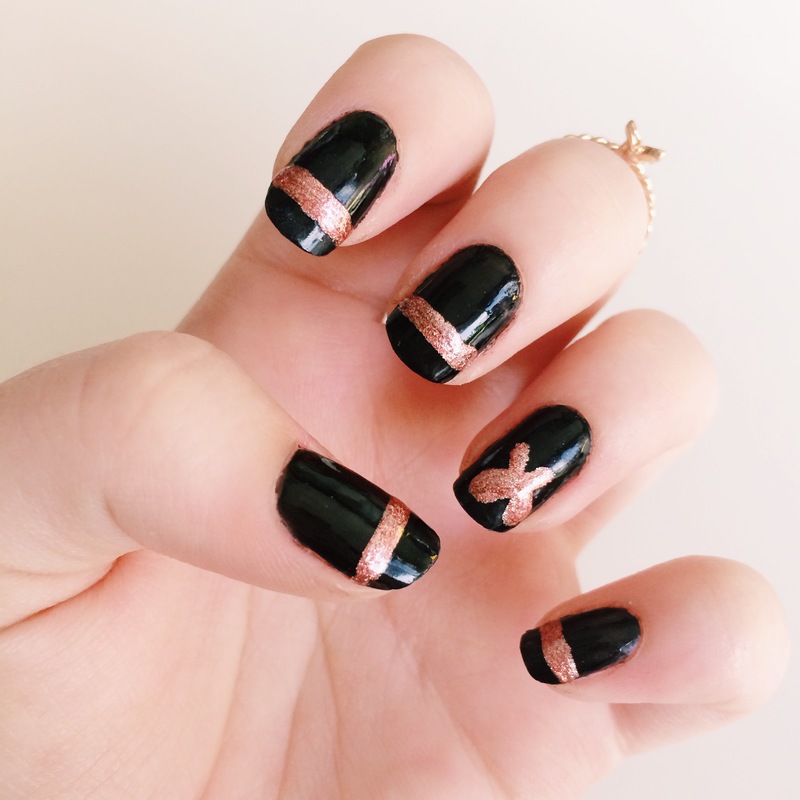 Since the black nail polish has a different finish, I was worried about using tape to create the stripes. I used my Julep Plie Striping Tool to freehand them, and I have to say, I like the way they turned out! I really need to invest in a couple of different sized brushes as I continue to up my nail art game! For the little butterfly, I put two dots of nail polish, rounded them out and pulled the tail down to make the two bottom wings. Until I did this manicure, I didn’t realize how many butterfly things I had! 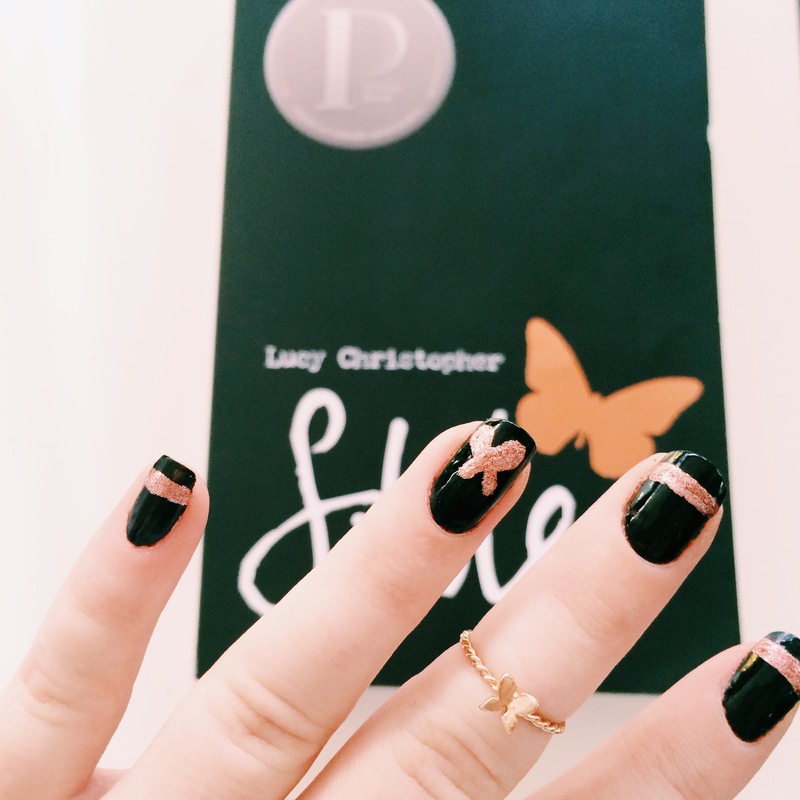 My jewelry tray and gold midi ring were perfect details to supplement this cover-inspired manicure. 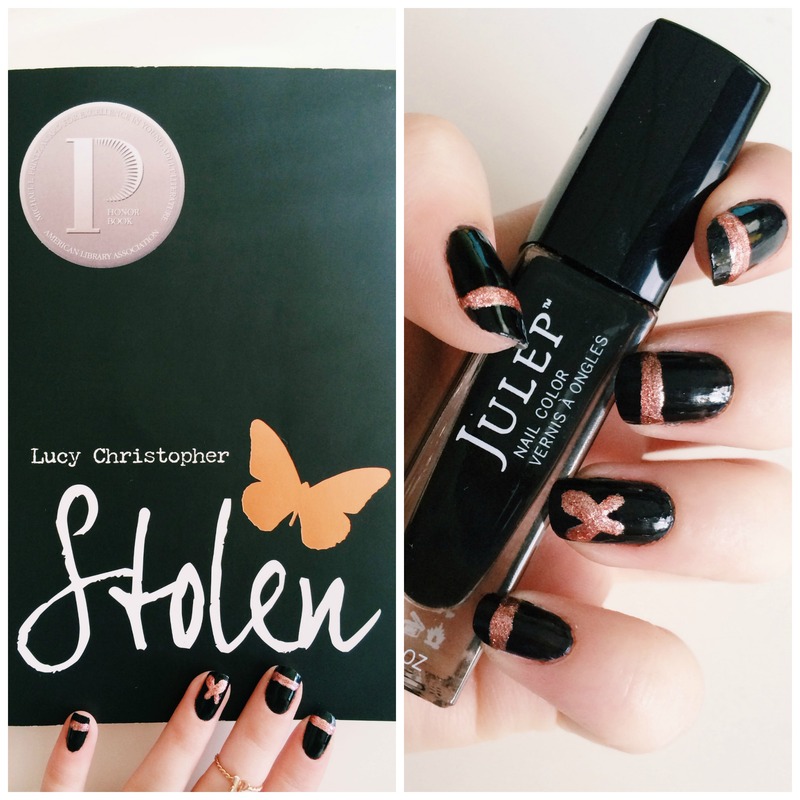 Have you read Stolen? I’d love to hear your thoughts! Happy Reading!